As many of you will know, June is PRIDE month. CONTROLRadioUK is a huge supporter of the LGBT community both in terms of being a member and ally, and for PRIDE month, we will be bringing you some special articles. Some of those will be positive in terms of looking at representation and ally’s, and some will be not so positive, taking a look at what some Networks are doing wrong representation wise along with other parts of the media. This article is starting off with the negative and a subject that I am extremely passionate about. It is almost hard for me to believe Supergirl has only been on air for 3 years, because my how the stock has fallen in such a short amount of time. Season 1 of the show came out of the blocks fast enough, with a bit of an over emphasis on feminism which turned some viewers off, and I couldn’t exactly blame them. The earlier episodes constantly proclaiming those around Kara doubted her abilities because she was a woman, and constantly reiterating women can do anything etc were beyond exhausting. But whilst it had some minor bad points, at least the storytelling was actually cohesive. Alex & Kara were at the forefront of the show. No character was really side-lined. 99% of the plots and storytelling made sense, and the show was a joy to watch. It wasn’t a surprised when it was moved to The CW. It was a good show, but not catered for CBS’s audience, but unfortunately I feel as though moving Networks ruined the show in more ways than one. Now again since this is PRIDE, this article is going to focus on one matter in particular and that’s the treatment of Alex, her relationship with Maggie and Maggie’s own characterization. Most articles you read will only focus on one of these matters, but I feel they’re all equally as important. Some may say that in season 1, you could pick up on the signals of Alex being a deeply closeted woman. Personally I don’t agree with that. A workaholic sure, and someone extremely dedicated to her sister. During the summer hiatus of the show moving Networks, the execs informed us that a character on Supergirl would be coming out as gay. Naturally the headlines wrote themselves, and everyone speculated to the far depths of the earth over which character it would be. Was it Winn, were The CW going to break comic boundaries and make it Kara, or maybe even possibly Alex. I feel as though we should’ve moved past the time where announcing a character’s sexuality is treated as salacious. It shouldn’t be a move used to drum up interest in a show or movie, or even something that still needs a pre-warning announcement, because being gay shouldn’t still be treated as a big massive shock in today’s society. You should be able to have your character just casually drop a line into conversation, or their partner shown on screen and we just move on to the next plot point. When it was revealed that Alex would be the character who was coming out as gay, there was unfortunately the big fuss and a billion think pieces. That increased when Floriana Lima’s casting as Maggie Sawyer was announced, and fans speculated her character would end up in a relationship with Alex. Supergirl is a show all about empowering women and feminism. Having one of the lead characters in a relationship with a woman is ground breaking for a show on The CW. Maybe we can finally un-cancel them for good, and have faith in the showrunners to do a good job with the relationship. You don’t need to guess it was a no on all fronts. Alex’s coming out arc lasted a mere matter of episodes. She basically interacted with Maggie, got a bit jealous of seeing her with her girlfriend, realized she was gay, came out to Kara and J’onn and next minute Maggie and said girlfriend were breaking up and Alex and Maggie were a thing. This is the type of arc that on other shows would probably last a season or 2 and have more than 2 minutes of screen time attached to it, but Supergirl isn’t like other shows and The CW isn’t like other Networks. Throwing characters together at lightning speed and giving themselves a clap on the diversity back is what they do. Now I know some are going to argue that Supergirl isn’t about Alex or even Maggie, it’s about Kara Danvers and her journey and you’d to an extent be right. But during season 2 we were forced to watch for half a season basically as Mon-El and Kara tiptoed around their feelings for each other, he got a type of character development, and eventually they did finally get together when the writers felt it was the right time in their development for that to happen. If we can have screen time dedicated to repeatedly telling us how much Mon-El had changed since he first came to earth, we could’ve had screen time dedicated to truly developing Alex and Maggie’s characters and their relationship. Because honestly? They are both truly fascinating characters in their own right. I would’ve loved to have seen a bit more of Alex’s analysis on the fact she was a bit of a workaholic. I would’ve loved to have seen some more scenes of her figuring out her sexuality, maybe even playing the field a little bit, all the whilst growing closer and closer to Maggie until they became girlfriends. I would’ve loved to have had more of Eliza and even J’onn offering Alex advice. I would’ve loved to have seen more of Maggie at work. A bit more of her friends, a bit more of her personality, a bit more about her family history. You have an actor as a series regular, they’re contractually obligated to appear in a set number of episodes. Use that time wisely! But Supergirl didn’t because Supergirl didn’t care, and that’s an issue massively linked to the Network. The CW does love to proclaim it’s a diverse Network, spouting figured from GLAAD at us, and getting their writers and producers to echo the company line. It’s alright patting yourself on the back for being so inclusive in your casting and characters, but you need to bring that stuff to the screen and they just don’t do that. At fan conventions Chyler Leigh and Floriana Lima have both spoken about how 75% of what they filmed in relation to their characters storyline together never made it to screen. Now I’m no mathematician but 75% is a massive amount of screen time to be cutting away, and you don’t need to wonder whether straight characters and couples would be getting this same treatment because you already know the answer. 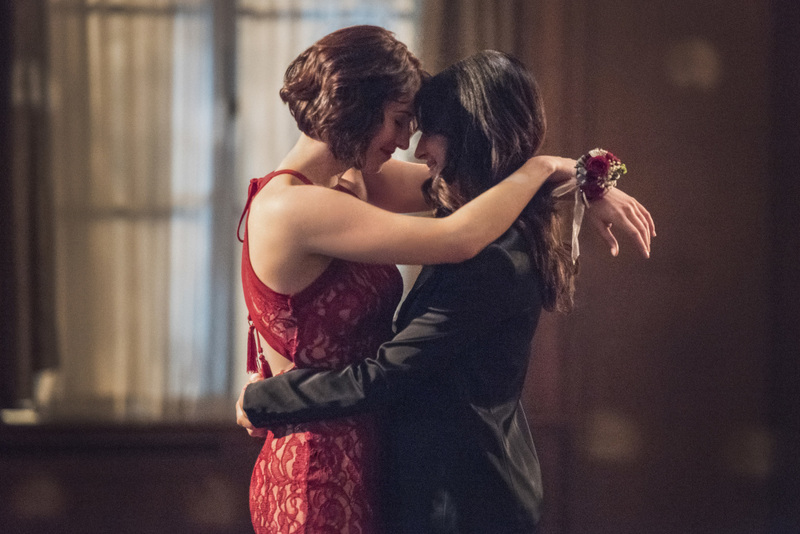 In the middle of Supergirl’s 2nd season Alex and Maggie were an out, happy couple. On their way out of an exercise class they bumped into Maggie’s ex who greeted them a little bit frosty. 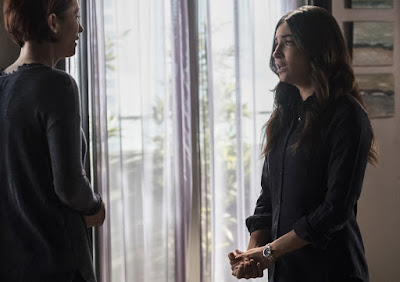 It soon transpired her relationship with Maggie had ended due to her cheating, and soon Alex and Maggie were having a confrontation over the situation. Alex was a bit annoyed Maggie hadn’t admitted this, Maggie gave her reasons as of why. 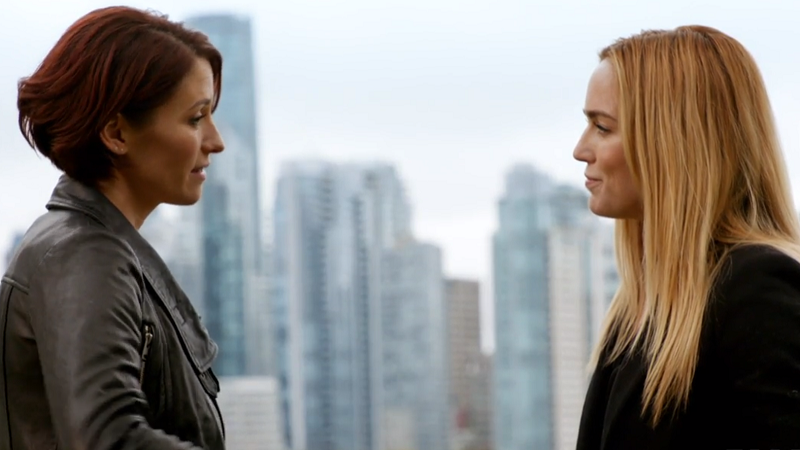 This is again an arc that could’ve lasted a few episodes and deserved much more than a few minutes of screen time. For someone that has just come out as gay and entered into their first relationship, Alex’s fears over Maggie’s position in the relationship were warranted. 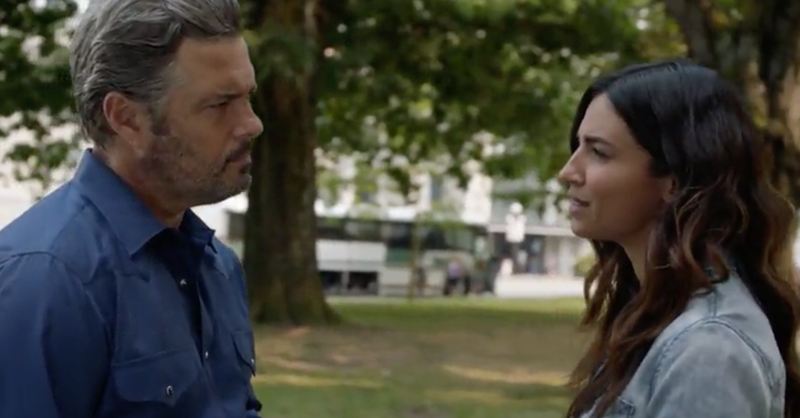 For someone that had just been introduced to the shoe, and to who we were still getting used to, giving a little more time to Maggie’s infidelity would’ve added to her character. Alex had kinda put her on a pedestal, and the cheating showed that she like everyone else wasn’t perfect. It could’ve opened up the conversation of them both realizing they really didn’t know each other all that well, and added as another building block to their relationship. Instead the whole thing was done and dusted in an episode and never brought up again. The big Supergirl valentines day episode was marketed as being all about Alex & Maggie. 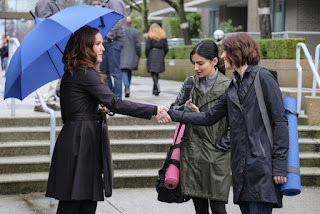 First look photos from the episode showed Alex and Maggie on a date. It was marketed as being their first valentines day together, with producers gushing over how it would be a big episode for them. Instead they once again got the 5 minute C plot, with the episode instead being dedicated to Kara’s unwanted admirer, and Mon-El being jealous. The episode ended with Mon-El and Kara having a make out scene on the couch, which is something Alex and Maggie were never allowed to do. In fact Chyler Leigh and Floriana Lima have mentioned they were barely allowed to show any intimacy, and most of the touches and little kisses were improvised. Now the improvisation aspect in one sense isn’t new, as many actors over the years have done it where appropriate and discussed with their scene partner beforehand. However, in those cases it was to merely enhance what was already in the script for the scene, not literally acting off your own accord because you’re so disenchanted with what you’re having to work with. Networks heavily using their LGBT characters and couples as a promotional tool to disregard once the job is done is unfortunately nothing new, but it doesn’t make the baiting any less disgusting. Episode 2.19 ‘Alex’ was hyped up as being another massive episode for her relationship with Maggie, with her and Kara arguing over the best way to save Alex after she was kidnapped. 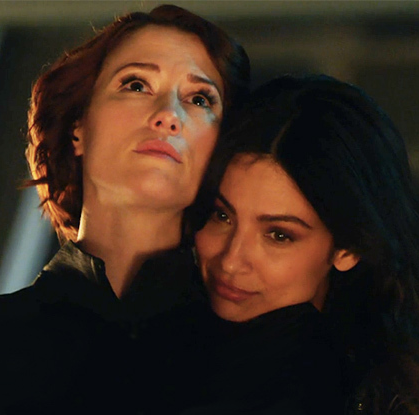 The two people Alex loved most in the world struggling to come together to save her. 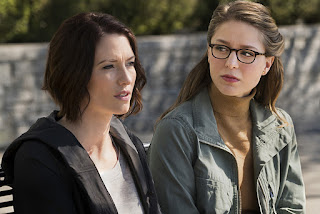 In theory that all sounds well and good except when you remember that Alex & Kara’s screen time that season had been dramatically cut down, with Kara off in plots with Mon-El, and I just struggled to feel the emotional impact from Alex & Maggie’s relationship when they had barely had more than 5 minutes of screen time per episode. There’s no point telling me how much they mean to each other, if you’re not actually going to show it on screen, and the whole episode felt like a cheap ploy. The writers wanted to get the fandom hyped up, and more positive headlines for their ego boost. Alex and Maggie once again professing their feelings for each other was cute, as was Alex, Maggie and Kara all coming together in the end. But that was literally a one episode plot that wasn’t really touched on again. 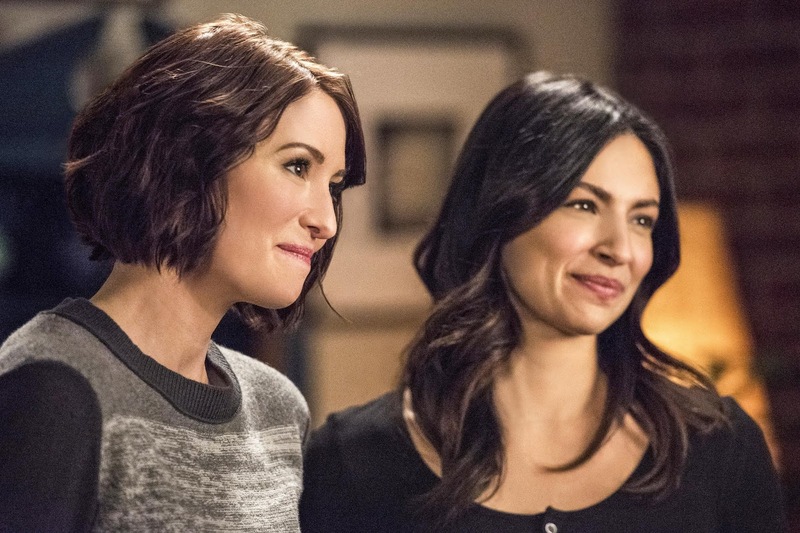 Chyler Leigh and Floriana Lima saw how much of an impact their storyline had on fans. They saw how much the storyline and their characters relationship meant to people, it’s just unfortunate the showrunners didn’t feel the same way. I would’ve been quite happy if a season had been spent on developing both of their characters properly, so we actually knew an in-depth amount of information about them, saw them come together as friends and that spark lead into something more. I would’ve been quite happy to watch a season of Maggie as a police officer working alongside the DEO on crime in central city. Her mixing in with the gang more than once in a blue moon, her having in depth conversations with the gang more than once in a blue moon, and of course the Eliza and J’onn interactions when time permitted. Watching their characters grow and development relationships and connections over a whole season, and with more than 5 minutes of screen time each episode and without 75% of their screen time being cut, would’ve been far more entertaining than what was actually forced onto our screens. 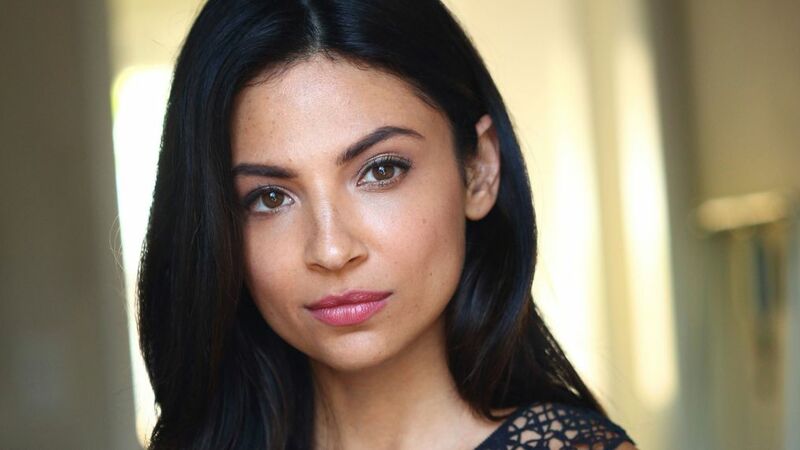 With all this in mind, it didn’t come as any surprise when Floriana Lima was announced as stepping down from her series regular role in the beginning of season 3. When you’re an actor who actually gives a damn about your storyline, and ISN’T just here for the paycheck? You want more for your character. You want assurances over screen time, assurances over storylines, and assurances that you’ll actually be utilized well. You want the writers to take on board how rushed your storyline was, and take on board the feedback that they could’ve done with slowing down the pace, but it’s ok because you have another season to work on that. TPTB obviously weren’t interested in any of this, nor supplying those reassurances so Floriana obviously walked away. TPTB immediately painted it as though they’d been blindsided by her decision, and had great plans for Alex and Maggie which would now have to be rewritten and I think that’s the most insulting thing of this whole saga. They had a whole season of Floriana as a regular to do all of these things. They instead spent that season cutting the gay couple and characters to the most minimal of screen time, and instead shoved Kara and Mon-El to the front of the show. They dismissed criticism of Chris Wood’s prominence as being nothing more than upset shippers, because it always comes down to dismissing justifiable critic as that of upset shippers. It really wasn’t. It was about LGBT people once again asking to see themselves fairly represented on our screens. We have to deal with an abundance of straight characters and couples taking up screen time, we’re entitled to want representation that is actually worth it. Attempting to manipulate the agenda and blame it all on Floriana leaving did unfortunately work, because still to this day you see people commenting on how things could’ve been so different if she hadn’t left, and why should a Network try to get someone back who chose to leave. How about because they’d barely even scratched the surface with her character, and what’s happened to Alex as a result of Maggie leaving is nothing short of disgusting. There are many ways they could’ve broken Alex and Maggie’s relationship up. They could’ve had them both realizing the relationship was moving way too fast, needed to slow down, Alex take some time to find herself and just stuck with occasionally mentioning Maggie on screen. 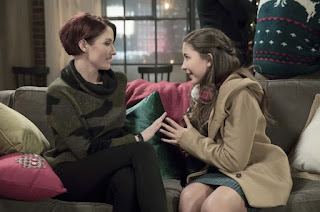 Heck if you’d really wanted to pursue the stupid kid thing, then in season 2 when Alex interacted with a child, instead of having her be awkward as hell, have her show signs of bonding with the child or even mention from the off that kids is something she saw in her future down the line. It’s like the #1 conversation you have with a person when you first start dating, because kids is a massive deal. Some people want them, some people don’t, some might change their minds. Better to get the cards laid out from the go so you both know where you stand and aren’t surprised. 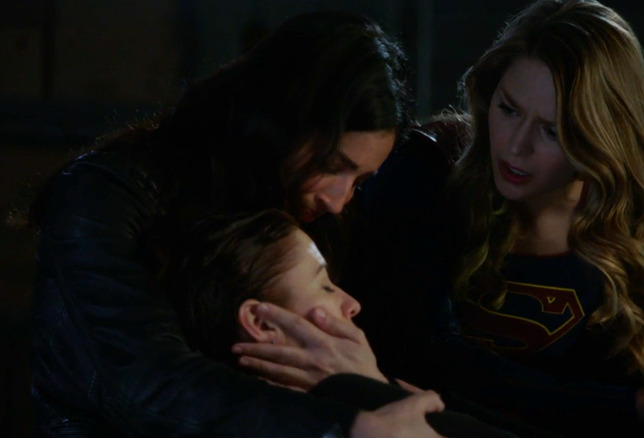 But Supergirl didn’t do that, because Supergirl didn’t care to do that. Instead after a few short moments with Ruby and around kids Alex, the person who had previously been extremely awkward around them, decided she wanted to be a mum. It was apparently an unknown lifelong dream. Something that made her apparently feel fulfilled, and if Maggie wasn’t on board with that then the relationship was doomed. What makes it even worse? This conversation only came up after Maggie and Alex had gotten engaged, and they’d finally remembered that in order for Maggie to exist that meant she had to have parents somewhere, and brought in her homophobic father for all of 5 minutes over 3 episodes. Bringing in Maggie’s parents would’ve been good a season beforehand when she was first introduced. Bringing in a gay character and their homophobic parents is like the #1 TV trope when it comes to LGBT’s. But then why would you bother adding any depth to characters that are only here to fill in quotas? With her father abandoning her, all Maggie had left was her relationship with Alex and that went down the crapper over the whole kids thing. So they tearfully parted, reiterating there 30 minutes of screen time over a season and 5 eps relationship was forever doomed. Since then Maggie’s barely had a mention and Alex has barely had any screen time, because for TV shows, they’re quite happy to have LGBT characters, they’re just not happy to have them on screen. Alex has instead spent the season on the sidelines as a glorified babysitter to Ruby. She’s actually had more screen time with her, than she ever did with her actual girlfriend. There is no badass DEO Agent Alex Danvers, because Ruby has to be in bed by 5pm with a nice little bed time story. Again some will claim this arc has been quite emotional and realistic of women all over the world. I again say it isn’t. All the arc has done is feed into the stereotype that a woman cannot be happy unless she has a child. We are all put on this earth to simply breed. We have no emotions, thoughts, feelings or actions that do not revolve around children. It is what we are. Those who are unfortunate enough to not be able to have children? Their lives are completely meaningless. Those who are gay? Don’t be happy in yourself and with your partner, because all you need is a kid. It’s a gross, insulting and offensive stereotype, and for a show that professed itself to once be about feminism and empowerment? It should know better. Of course it doesn’t because it’s had a number of changes behind the scenes since it first hit the airways and none of those changes have been for the better. I would’ve rather spent a season with Alex diving head first into her work, because that’s what season 1 Alex did, eventually realize she was burying herself in work as a way of coping with her break-up, and then spend the rest of the season trying to find herself. Give the odd shout out to Maggie because she is still supposed to live in the city. Alex would’ve still been at the forefront of the action like she’s supposed to be, and it could’ve been a storyline to give her more development. We’ve seen Kara and Mon-El throughout the season struggle with being around each other with the Imra baggage, and Kare trying to find herself and all that entails whilst growing sorta closer to Mon-El again, so it’s not as though this type of storytelling is above and beyond these writers. It’s just above and beyond a gay character. I can’t have an article talking about Alex, Maggie and their relationship without of course talking about the pitiful crossover hook-up between Alex and Sara. Similar to how Sara and Constantine hooked up because apparently two bisexuals just had to, it can be no coincidence that Alex and Maggie broke up right before the crossover, so The CW could have its sweeps gay hook-up. It’s something a lot of Networks used to do in years gone by, but most have now stopped using gay hook-up’s as a ratings ploy because they’ve come to see how offensive it is. Just because two characters are gay in the same universe doesn’t mean they’re going to hook-up, but in the Arrow-verse it does. The hook-up was never to be mentioned again. Alex is having fun as a glorified babysitter, Sara has her thing with Ava and being captain of the ship. The only time they’re likely to come across each other again is during the next crossover. It'll probably be some kind of fun 'joke', because that's all LGBT representation is to these people. It's a damning indictment against a Network that proclaims to be diverse when it's anything but, and regardless of whether you're a fan of the characters and their relationship, the criticism is impossible to ignore.